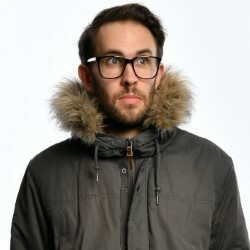 From the maker of sell-out Fringe hit: The Charlie Montague Mysteries; tour support for Ed Sheeran's tour support, Tom Taylor, stars in his debut stand-up show packed full of jokes, songs and silliness. As heard on BBC Radio 4. Musical Comedy Awards Audience Favourite winner. English Comedian of the Year and So You Think You're Funny? finalist. Other tour support for Simon Munnery, John Kearns and Abandoman. 'Excellent... beautifully daft' (Sunday Times). 'An absolute delight' **** (Skinny). 'Gloriously silly' **** (Stage). 'Astoundingly funny' **** (FringeGuru.com). 'A masterpiece' **** (BroadwayBaby.com).